It wasn’t that long ago that businesses had limited data to use for their creative. Marketing campaigns were often built using subjective creative instinct and little else. However, now that advertisers have access to significant amounts of data, including personal customer information as well as audience behaviors, creative decisions are being informed by their data. The use of data allows businesses to make much better use of their resources, thereby making your data driven creative efforts more successful as well as more cost-efficient. The following are just a few ways that advertising agencies use data driven creative tactics to influence your marketing campaign for the better. Arguably the most important facet of any marketing strategy that you implement is the audience you’re targeting. If you’re targeting the wrong audience, your efforts will fail. This is why developing buyer personas is so important — and the most effective way to do this is through the use of customer data. You can use the data you have from previous customers as well as data from the leads you’ve captured in order to identify exactly who your audience is, which will help inform the creation of your buyer personas. For example, you can track the behavior of your customers by viewing what pages they visited and what actions they took before making a purchase. Information like what they’ve purchased and when they purchased it will be very helpful in being able to reach your audience as well. Many businesses will also create post-sale surveys for customers to fill out that provides valuable information as well. Additionally, you can gather information from your email opt-in forms as well as from your social media followers. Want more information on Buyer Personas? Click here. Knowing who your audience is won’t help much if you don’t know where they are. There are countless social media platforms on which you can target your marketing campaigns. If you choose a social channel on which your target audience isn’t present, your campaign will fall on deaf ears. Figuring out what platforms your audience uses is the first step towards reaching them, and your data can help you pinpoint where they are. 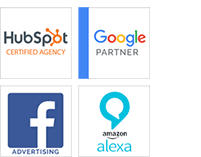 For example, you can look at the social media data of similar companies to determine where they have the biggest reach, or you can add social share buttons to your content and then identify which platforms your content is being shared on most. You can also set up business pages on several social platforms and link to them in your email campaigns and on your website. You can then track which pages receive the most follows, which will tell you which social channels you should focus your marketing efforts on. The amount of data that you have at your fingertips should allow you to personalize the experiences of your customers, especially once you’ve created your buyer personas. For example, retargeting customers using PPC (pay per click) ads highlighting items that they added to their cart but didn’t end up purchasing can be a very effective way to close a missed sale opportunity. Personalized experiences in general, whether it’s personalized CTAs (calls-to-action) or personalized emails, have a big impact. A recent study even revealed that consumers are twice as likely to click through ads for brands they were unfamiliar with if it was tailored to their preference. By using your buyer personas and by collecting and analyzing how your visitors engage with the content you produce, you can fine tune your content strategy to better target your audience. By tracking several metrics, including time spent on a page, engagement with the content (comments, social shares, likes, etc. ), click-throughs, bounce rate, lead captures, and more, you can identify what content performs at the highest rate. You can then craft new content that’s aligned with what type of content performs well. For example, if you noticed that short-form content in list form performs well but long-form content without bullets or numbers does not, then you should have a pretty good idea of what future content should look like. These are just a few ways that data driven creative can work and why it’s changing the way the advertising industry operates. Using the significant amount of data that you have access to in order to drive your creative marketing decisions will make it easier to successfully identify who your target audience is and how to reach them in a cost-efficient manner. Not long ago, businesses simply didn’t have that much information to leverage when it came to crafting marketing campaigns. They could only draw conclusions about their audience from in-store information — as in, information on who bought what. Mostly, they just advertised to the audience that their products or services were initially intended for. A lot of their marketing effort came from the instincts of their advertising agency’s creative team. These days, advertising agencies have access to a wealth of data, which has led to data driven marketing. However, knowing how to use that data properly is important as well. It’s the agencies that merge data and creative to form the foundation of their marketing campaigns that tend to be the most successful. 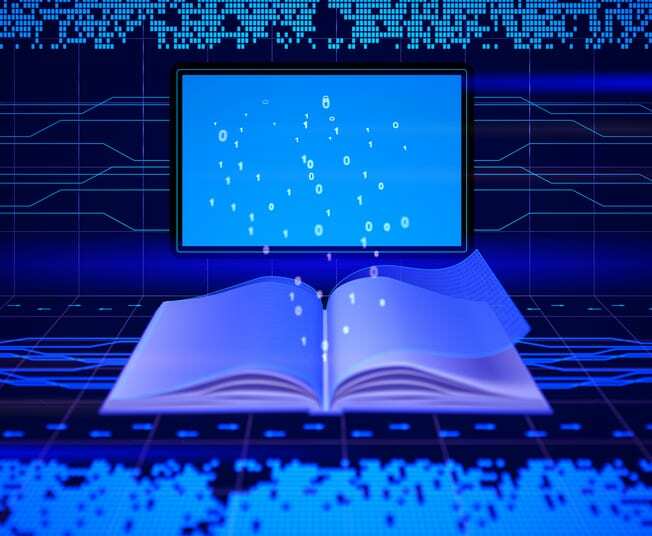 What is Digital Storytelling? Read here. Although it’s difficult to argue that data hasn’t been hugely beneficial in terms of identifying who your audience is and how to reach them, a lot of people within the industry are scared that the use of data is restricting creativity. They believe that the increased use of data and automation is going to reduce innovation in marketing campaigns. There’s certainly some truth to this – but only if your marketing agency isn’t using your data properly. You don’t want your creative decisions to be solely based on numbers, after all. However, you also don’t want to use your data as an afterthought either. For example, maybe you’ve produced both long-form and short-form blog content. Using analytics, you’ve found that your long-form content is performing better. You won’t want to try to take your short-form content and extend it so that it’s longer as this kind of strategy is akin to trying to fit a square peg into a round hole. Instead, you should keep this data in mind for future campaigns. Data driven marketing is about creating a balance between the data you have and your creative. Take video content creation as an example. 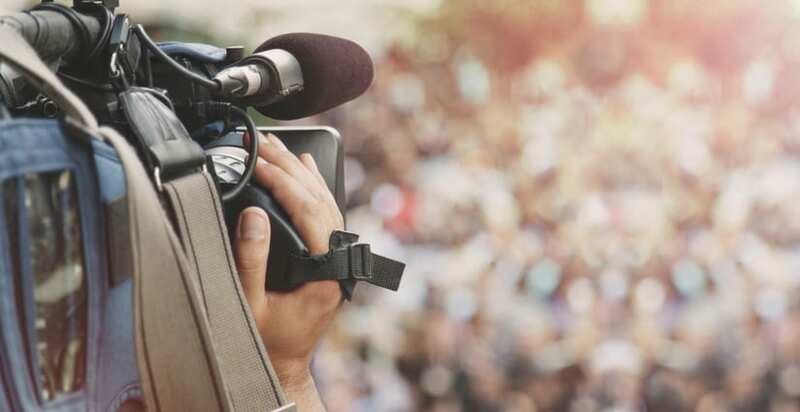 Video has become one of the most effective forms of content in the past few years as it’s become easier and cheaper to produce as well as easier for consumers to watch. According to recent stats, Facebook users are more likely to engage with your video if it draws them in within 1.7 seconds. When creating video content for Facebook, you’ll want to keep this in mind. It might seem restricting at first — but limitations are often what helps to drive creative solutions. Instead of looking at data as something that restricts the creativity of your marketing campaigns, look at it as a way to drive innovation. While some critics fear that an over-reliance on data could ultimately hinder creative efforts, in reality, the use of data can help inform creative efforts to bolster the effectiveness of a marketing campaign. In this day and age, advertising agencies who do not leverage data to their advantage in order to influence the direction of their creative marketing decisions will quickly fall behind the competition. This week in inbound marketing we look at Amazon’s incredible success on Prime Day that made history in all categories. Read more on the changes and trends happening in marketing this past month. In an attempt to make content more interactive on their app, Instagram is testing a new feature in which users can add open-ended questions in stories according to a recent write-up on Marketing Land. Instagram currently allows users to post polls with multiple-choice answers, but with this new feature, Instagram is hoping to increase engagement between users, while giving brands the opportunity to have more public conversations with followers. According to an article on Marketing Land, Snapchat has decided to partner with four news discovery platforms (NewsWhip, Tagboard, SAM Desk, and Storyful) used by media organizations to spread their news-related content on a wider scale and basis outside the app. The partnership will allow the four platforms to use Snapchat’s Story Kit Integrations to access and deliver news content posted within the app to thousands of storytellers and newsrooms. Along with Snapchat, the platforms will also be able to access content that is present on the app’s Discovery channels like NBC News and BuzzFeed to name a few. Whether you like it or not, your website is often the first impression your audience gets of your business and your offering, so keeping your website up to date with today’s technological changes in mind is crucial if you want to draw in your target consumer. Our own Nicole Wagner offers an abundance of tips to help you improve your website redesign process. Today, the majority of marketers and brands recognize the value of implementing a social media strategy when it comes to engaging and connecting with their audience. 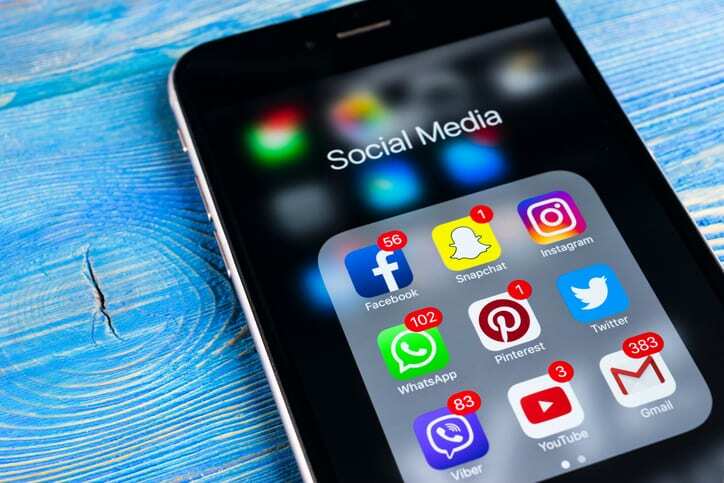 In an article she wrote, Nicole Wagner presents the best social media practices to get the most out of those popular platforms. Storytelling plays an important role when it comes to presenting your products or services as a solution, while also helping consumers relate to your business on a deeper level. Similar to storytelling, digital storytelling involves using strategies across all online platforms to communicate your message to your audience. Dan Gartlan offers strategies for how to improve your digital storytelling efforts to build strong relationships with consumers. Amazon has done it again. According to a recent post on Marketing Land, Amazon reported that this year’s Prime Day was the biggest sales day ever surpassing last year’s sales as well as its Cyber Monday and Black Friday sales. Despite the glitches it faced, the company sold over 100 million products, and in the first nine hours gained more Prime members than any other day of the year in Amazon’s history. The products that sold the most worldwide were all Amazon devices—Alexa Voice Remote, the Echo Dot, and the Amazon Fire Stick. The digital era we are living in today has made it difficult to distinguish between brand and performance campaigns. For brands with dual goals, a multipurpose campaign might be the answer. In an article published on Think With Google, Overstock.com, the online home goods and furniture retailer, decided to experiment with mixing direct-response strategies with regular brand creative. Interestingly enough, the return on ad spending for the campaign was 3X its other campaigns—the result was enough to make them reconsider how they would normally approach digital video. Senior living industry leaders attended the Senior Living Innovation Forum, a conference that takes place every June to discuss a variety of topics centered on the senior housing industry. Several attendees shared their insights and concerns about the future of the industry, and recognized that in order to fit in with the current times, companies and investors need to shift their attitudes and accept a new business model if they aspire to create larger market opportunities and increase innovation as well. It’s no secret that Facebook’s organic reach for pages has plummeted over the last year — or that the free ride is essentially over — but forking over a little cash for ads could do some good. The most efficient way to do this? Through creating a targeted campaign. Social ads are a great way for businesses to foster consumer engagement and expand their reach, according to Phil Penton, president of Social Integration. U.S. companies spent a combined $5.1 billion on social media advertising last year, and that number is expected to increase to $15 billion by the end of 2018, according to BIA/Kelsey. This is the hottest topic out there. Everyone was out there growing their fans [on Facebook], and spent a lot of time growing their Likes with the thought that they were going to be able to post content for free and their fans would be able to see it. The reality is that if you had 100,000 Likes on your Page, only 10 percent were seeing your posts anyway, which isn’t great to begin with. There are no hard and fast rules for social media marketing campaigns. What works well for one company could fail magnificently for another. Searching for sure-fire techniques is like searching for Amelia Earhardt, answers are out there, but they’re just really hard to find. You want buzz. You want a unique message that says, “This is our brand. This is who we are.” You want visitors to become fans and fans to become customers. This is a great key to attraction marketing. After analyzing some of the most notable social media marketing campaigns of 2012, we’ve come up with what we think are 5 keys to creating your own social media success story. Subscribe today to stay current on marketing trends.